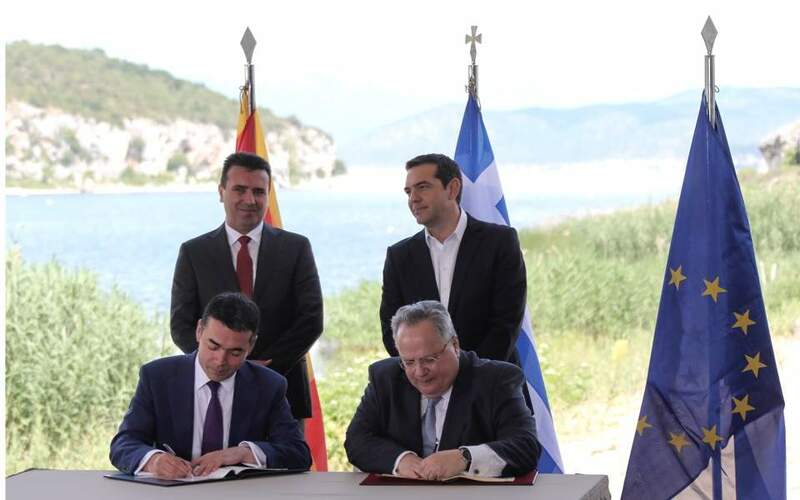 I am pleased that Greece and North Macedonia are working together to develop a good relationship, although, as I have often said, it will take at least one generation before the old quarrels fade away. I say this because this would distinguish it from the ancient Macedonian dialect (which in turn should be called “Ancient Macedonian”). This is a dialect that cannot be reconstructed, because the ancient Macedonians, like some other peoples in the same general area, generally saw no need to write things down. So what we have is a list of about 150 words, quoted by later writers and perhaps not all spelled correctly, and a number of names. It is clear from these that “Ancient Macedonian” was one of a number of dialects that were spoken in the area to the north and west of modern Greece, and are now called “Northwestern Greek” dialects. They overlapped and had many things in common, so it is usual to refer to them as “dialects” rather than full-blown languages. After the conquests of Alexander the Great, the Attic dialect that was favored by the Macedonian aristocracy, just as the French language was favored by aristocrats in Europe until relatively modern times, became the standard language not only in Greece but also in the enlarged Greek world that these conquests had created. For this reason the question that is so frequently asked – “Did the Macedonians speak Greek?” – is badly formed, because there was no such thing as a Greek language before the time of Alexander. The Greeks used different dialects in different places until that time. For that reason it is appropriate to speak of “Ancient Macedonian,” and Greeks should use this expression, and use “Modern Macedonian” when they are referring to the language of their northern neighbor. John Melville-Jones is a professor emeritus and senior honorary research fellow of Classics and Ancient History at the University of Western Australia.